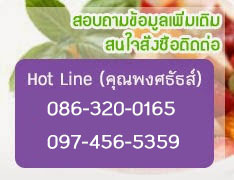 Multi Wealth Ltd .,Part , is the provider of the best quality?ingredients and additive for use in all food industries. We were officially activated in July 2005 as a medium company. By recognizing and understanding our customer?s requirement, you can be assured that Multi Wealth Ltd.,Part is committed to bring the best innovation with world class quality products and service. Besides, we can help you find the most efficient and effective solution to your problem. Fruit extract , cerial extract. etc.
? Local and International suppliers.